If you’re in the middle of re-furbishing your house or you’ve recently been thinking about replacing your gas central heating before the colder months really kick-in, it’s worth considering the benefits of switching over to electric radiators. 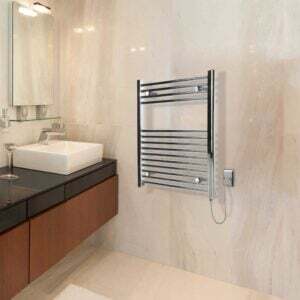 You may not have thought about this type of heating system before, because traditionally, electric heating generally referred to those 1970’s portable heaters or plug-in appliances that looked unsightly and ungainly! However, if you look at the range of products on available nowadays, it’s clear that the advances in electric heating over the years have been tremendous. You can expect energy-efficient, stylish, modern looking designs that are easily fixable to the walls in your home. In fact, more and more people choose this type of heating system over gas central heating because it delivers remarkable heating efficiency. Often cheaper to run than old-fashioned gas central heating we’re going to show you why it’s time to get on-board with the benefits of electric radiators and why they’re often better than gas central heating. Don’t forget that gas central heating runs from your boiler. A boiler needs to heat up to temperature in order to penetrate the water inside radiators and in turn, make them hot. Now, with electric radiators you don’t have the interaction with your boiler. That means there’s no risk of going without a warm, comfortable home if your boiler breaks down. You’ve probably experienced boiler breakdown before, if not, then count yourself lucky! Did you know that 18% of UK homes experienced boiler-breakdowns last year, this piece shows you how many homes went without heating in 2016/17(https://www.which.co.uk/news/2017/02/boilers-broke-down-in-one-fifth-of-uk-homes-last-year/)? If you were one of these people, you know how cold it gets without heating, you wouldn’t go without heating with electric radiators. Then there’s the noise of gas central heating! 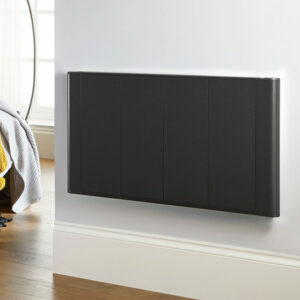 How many of you have been disturbed early in the morning during the winter months as your gas radiators kick into gear? It’s that annoying churning and banging of water as your boiler and radiators start to heat up. The huge advantage of an electric radiator system is the silence. There’s no background noise, no clicking, clunking or thumping through pipes under the floor and that means extra sleep for you too. 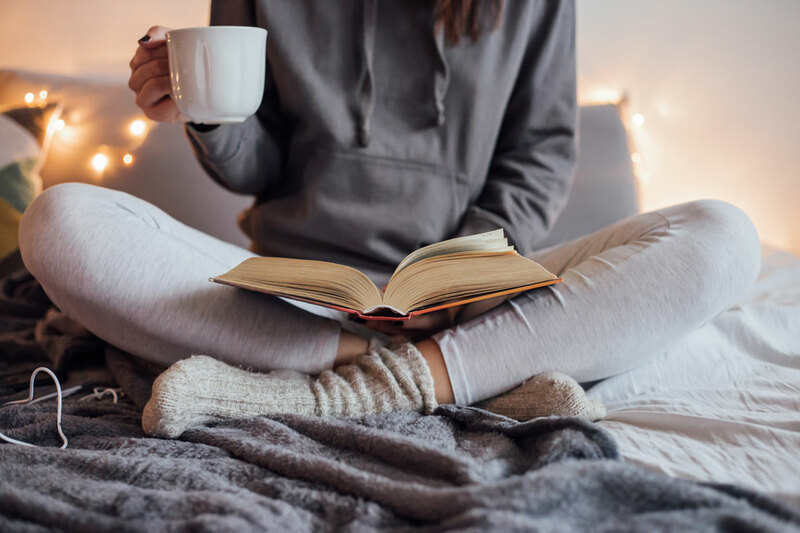 Installing a gas central heating system definitely needs professional installation and don’t forget the boiler system needs servicing once a year (service cost anything from £50 to £150) as well as an annual certificate. Pipework and central heating radiators are prone to leaks. Not only do these issues impact on heating efficiency, they’re potentially costly to rectify. One of the biggest plus points with electric radiators is that they don’t need servicing at all, because they are powered through the mains. So, they’re maintenance-free, no plumber call-outs, no annual servicing and no flushing through of systems either. If you haven’t yet replaced your old boiler, you are potentially running an inefficient heating system. The older your boiler is, the harder it will be working to heat up your home. Leaving a boiler without servicing means that you’re putting it at risk of breakdown and the bigger the malfunction, the more expensive it will be to resolve. Boilers need to be replaced every 15 years and the average cost is anything from £2500 to £5000+ depending on the size of the boiler needed and your home. Then there’s insurance on top, this could cost approximately £100 per year. There’s some interesting guidance here on when you should replace your boiler http://www.gocompare.com/covered/2013/12/when-should-you-replace-your-boiler/#vL7xEivRFQjBlDL6.99. Of course, we know you need a boiler for hot water but at least with electric radiators you can feel confident you will never be without heating and if you switch to electric heating, you might not need a large boiler – saving you money. Gas central heating upkeep costs relate to the corresponding radiators too. 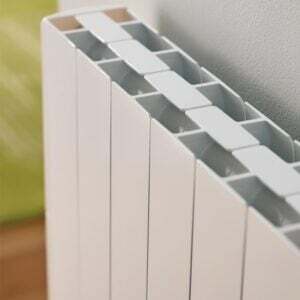 When they burst or leak, you likely have to buy new ones, very similar in cost to electric radiators but remember, new gas central heating radiators won’t be guaranteed leak-free and you need to pay a plumber for installation. Electric radiators are an easy DIY installation. Don’t forget, you need to regularly bleed gas central heating radiators too which sometimes requires a plumber. You don’t need to bleed electric radiators! As mentioned, with a gas central heating system, heated water travels underneath your floors through pipes into your radiators and during this time, quite a lot of the heat is reduced, especially if your pipes aren’t insulated. If there’s no insulation then bet you didn’t know that up to 50% of heat is lost along the way to your radiators. That’s why you need to heat your home for longer and often crank up the temperature – because of that costly heat loss. 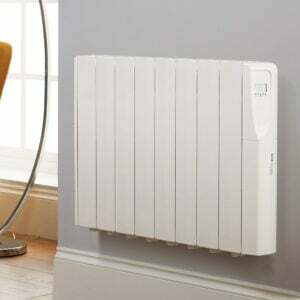 With an electric radiator system you don’t need a central heating system laid through pipes and if you want to replace your central heating system it’s quicker and easier to decide to use electric radiators instead. In fact, it’s so easy; you can actually do it yourself! No need to call in a plumbing firm with often huge call-out fees and inflated hourly rates. It’s worth mentioning that electric radiators are infinitely more environmentally friendly than gas central heating. There are zero emissions, so they’re clean as well as quiet. There’s no risk of carbon monoxide poisoning and there’s no carbon dioxide either. All natural resources are nicely preserved because wood fuel consumption and fossil fuel consumption is minimised. So by installing a state-of-the-art electric radiator system in your home, you’ll be protecting the world that we live in. There’s A Potential Cost Saving Too! 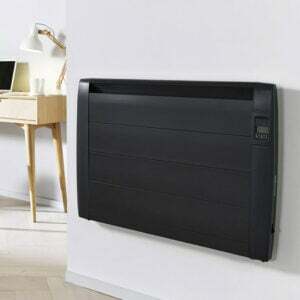 So the big question is, is it cheaper to heat your home with electric radiators or gas central heating? Well, on the face of it, yes, gas certainly looks like the cheaper option. One unit of gas costs 4p/kWh and one unit of electricity costs 15p/kWh so gas is three times cheaper but don’t fall into the trap of assuming that means it is the less expensive option of the two. It’s not necessarily. Firstly, think about your gas boiler as we’ve stated, it is likely not 100% efficient. Gas boilers lose heat while heating up your gas radiators because heat escapes through the underfloor pipe work. An electric radiator turns 1kWh into 1 unit of heat, boilers don’t do this as they are only approximately 90% efficient (if new) and that efficiency rating drops as your boiler ages. An old boiler might only be 50% efficient, less still if it’s not annually serviced (something electric heating doesn’t need). So – there you have it. There are many reasons why an electric heating system is better. In summary, there’s no expensive pipework installation, no call-outs, no servicing required, no noise, no risk of carbon monoxide poisoning. They are also kinder to the environment and if you hop over to the bestelectricradiators.co.uk website, you’ll find a treasure trove of modern systems that work with Wi-Fi. That means you get complete control over your thermostat. You can heat some rooms rather than all your rooms and have different temperatures in different areas (which helps with energy efficiency too). Now that’s heating flexibility that really works!